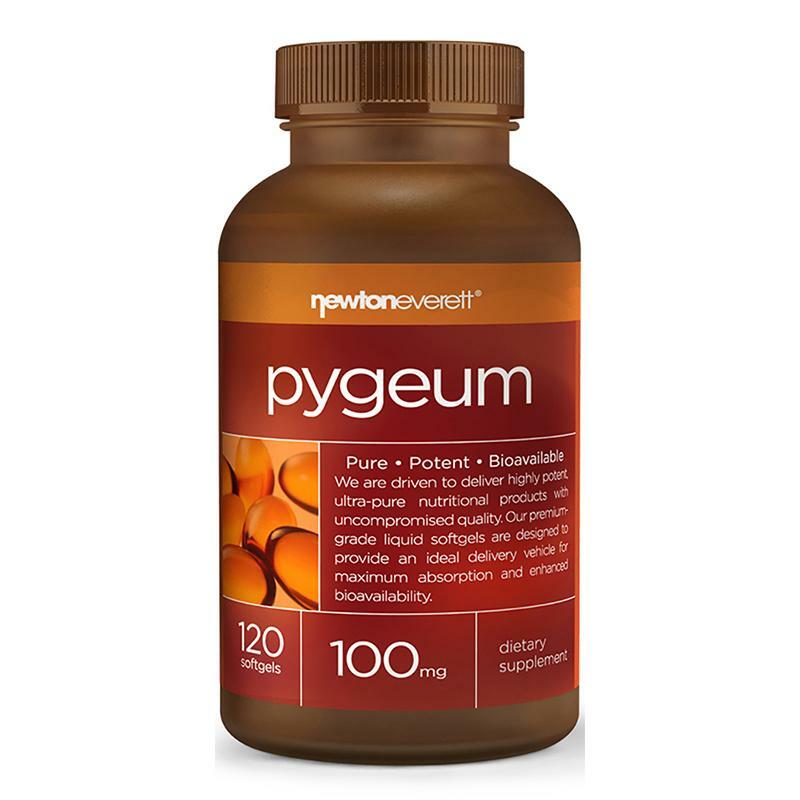 Known to support prostate functioning, specifically targeting BPH, Pygeum extract may assist with a myriad of related issues, from male pattern baldness (MPB), to erectile dysfunction and urinary tract disorders. Suggested Use: Adult men, take one (1) softgel twice daily, preferably with a meal. WARNINGS: This product is intended for use by men and is not intended for use by women. If you are taking any medications or have any medical condition, consult your doctor before use. Discontinue use and consult your doctor if any adverse reactions occur. Not intended for use by persons under the age of 18. KEEP OUT OF REACH CHILDREN. Store at room temperature. Pumpkin Seed Oil, Gelatin, Vegetable Glycerin, Soy Lecithin, Yellow Beeswax, Natural Caramel Colour. No artificial flavour or sweetener, preservatives, sugar, starch, milk, lactose, gluten, wheat, yeast or fish. Sodium free.